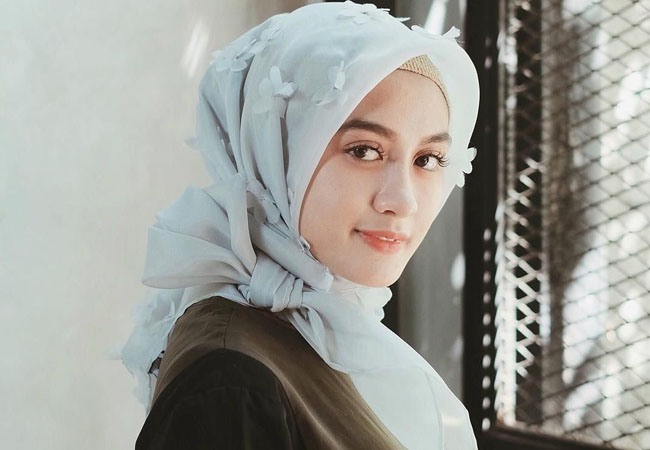 Home Islamic Life Motivation Why I Should Using Hijab? Why I Should Using Hijab? God has locked their hearts and hearing, and their visions are closed. And for them a very severe punishment. (God locked their hearts shut) to close their hearts so they could not be entered by goodness (even though their hearing) means that their hearing devices or sources are locked so that they do not benefit from the truth they receive (whereas their vision is closed ) with a cover that covers them so that they can not see the truth (and for them a great punishment) that is heavy again anyway. Against the hypocrites are revealed. It is clear that covering the heart's "hijab" is not a good thing. And the truth is to cover the head with a hijab and open the heart so hidayah enter. Do not overturn this understanding karen fatal also kalo to misunderstand this. Son of Adam, We have sent down your garments to cover your nakedness and beautiful garments for jewelry. And taqwa clothes are the best. That is a partial sign of God's power. Hopefully they always remember. O Prophet, say to your wives, your daughters and the wives of the believers: "Let them stretch out their veils all over their bodies". That is so that they are easier to recognize, therefore they are not disturbed. And Allah is the Forgiving, the Most Merciful. 1 Corinthians 11: 5 But every woman who prays or prophesies without a head is barred, insulting her head, for she is like a woman who has hair shaved off. 11: 6 For if a woman will not cover her head, she must cut off her hair. But if for women is an affront, that her hair is cut or sheared, then she must cover her head. 11: 7 For a man does not need to cover his head, he shines the image and glory of God. But women shine the glory of men. 11: 8 For man is not from woman, but woman is male. 11: 9 And men were not created for women, but women were created for men. 11:10 Therefore, the woman must wear a sign of authority on her head, because of the angels. 11:11 However, in the Lord there is no woman without man and no man without woman. 11:12 For just as the woman is of the male, so also the male is born by the woman; and everything comes from God. 11:13 Consider it yourself: Is it proper for women to pray to God with their heads not hooded? So the conclusion is that a good and righteous Berhijab according to the command of Allah is an obligation for Muslim women and Christians Because it is already in the Book of each. Please give a positive comment and do not forget to follow this site.